Elle Fanning’s first on-screen role was in 2001’s I Am Sam, playing the 2-year-old version of Lucy, the character portrayed by her sister Dakota. She was 3. 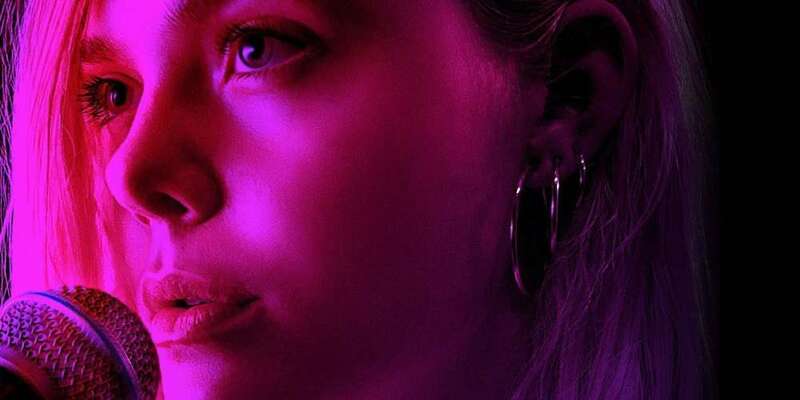 Eighteen years later, and with a bevy of interesting films behind her — including Sofia Coppola’s The Beguiled and, most especially, Nicolas Winding Refn’s The Neon Demon — she may finally have her breakthrough role as Violet, a Polish immigrant on the Isle of Wight, who enters a singing competition in Max Minghella’s directorial debut, Teen Spirit. Minghella, an actor known for The Social Network and his ongoing role as driver and baby daddy Nick Blaine in Hulu’s The Handmaid’s Tale, is the son of Oscar-winning filmmaker Anthony Minghella (The English Patient). Those are no small shoes to fill, though Minghella’s joy as a director is evident. 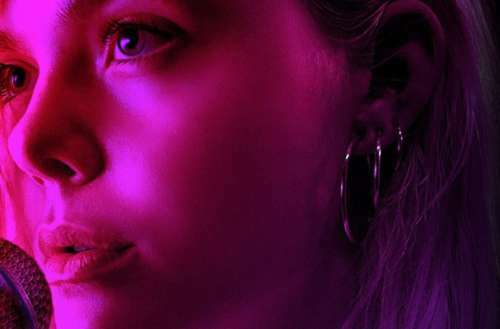 No doubt Anthony Minghella is smiling from beyond the grave at the winsome, emotional confection his son has created with Teen Spirit. (He was also the screenwriter.) It helps immeasurably that he has cast it from the ground up with unfussy journeyman actors and that his star is just hitting her stride. Violet is a watchful character. She lives with her mother (the Polish actress Agnieszka Grochowska) and spends her days doing menial labor in pubs and restaurants. To and from her jobs, she’s always plugged into her iPhone listening to music. Alone she sings and, at times, dances energetically. (Fanning practically reignites No Doubt’s “Just a Girl” simply by throwing herself around her bedroom in thrall to Gwen Stefani’s ’90s anthem.) Every now and then she performs with the keyboardist at the local pub, where she captures the attention of Vlad, a fellow immigrant and former opera singer. The role of Vlad was written for the Croatian actor Zlatko Buric, known here — if at all — for Nicolas Winding Refn’s Pusher trilogy, though Vlad is a far cry from the ruthless criminal Milo in that violent saga. The burly, cantankerous Vlad has seen better days and has never met a bottle of booze he didn’t like, but he recognizes the latent talent in Violet and takes her under his grizzled wing (first as a “guardian” to sign the paperwork involved for Violet to audition for the Teen Spirit competition, of which her pragmatic mother would never approve, and then as her coach/manager). I’ve watched Elle Fanning since she was a child and have always found her to be a graceful screen presence, though somewhat blank. That naiveté was central to her performance as Jesse in The Neon Demon; her ultimate corruption in the cannibalistic world of high fashion models had real sting in it. But she’s wide-awake here and firing on all cylinders, wielding a Polish-inflected English accent as if it was second-nature and, most surprising of all, handling her vocal duties with real passion. She does credible jobs with Robyn’s “Dancing on My Own” and Annie Lennox’s “Little Bird” — navigating her contralto admirably through songs owned, spiritually at least, by others. Yet when she needs to step it up in the competition, she slays her way through a rendition of Sigrid’s “Don’t Kill My Vibe” that has the live television audience, and the film’s audience, securely in her pocket. It’s to Minghella’s credit that, despite the predictable beats of a well-worn story, the film doesn’t pivot on whether or not Violet wins. (We don’t even find out whether she does until the credits have started rolling.) He’s more partial to the local color and getting the small details right. Violet’s triumph here is internal; does she have not only the talent but the emotional fortitude to escape her predetermined life of drudgery? Fanning’s achievement is similar, but broader. She’s putting the world on notice that she’s more than a beautiful, blank canvas. Like Michele Pfeiffer or Nicole Kidman before her — other gorgeous actresses overlooked in their early years — she has the technique, the stamina and the commitment to truly soar. 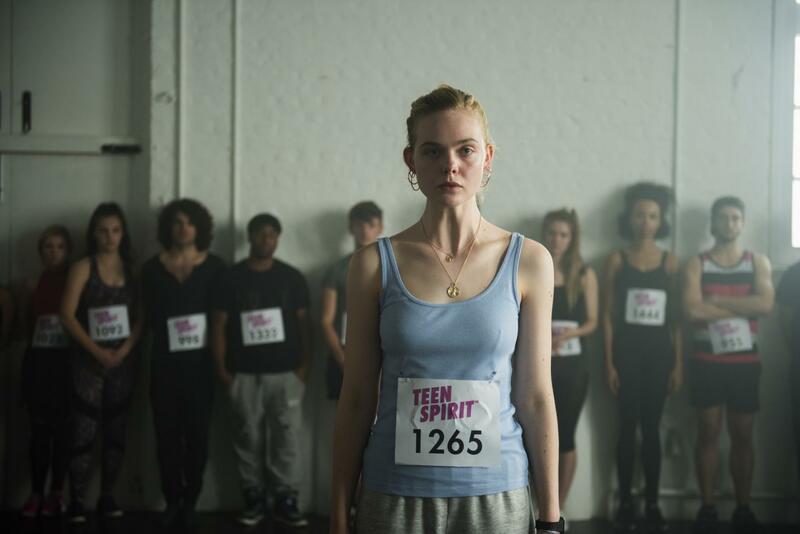 Teen Spirit, starring Elle Fanning and directed by Max Minghella, is in theaters today.